Renault Kwid became extremely popular in the Indian market soon after its launch. The entry-level car from the French manufacturer gets a huge fan following, thanks to its SUV inspired looks. Renault showcased the Kwid Climber at the 2016 Auto Expo but later launched the car with a mere sticker job. However, here is a modification job done on the Kwid that makes it look much better than the stock. In fact, this Kwid has plenty of styling cues that make it look like the Duster and Captur. 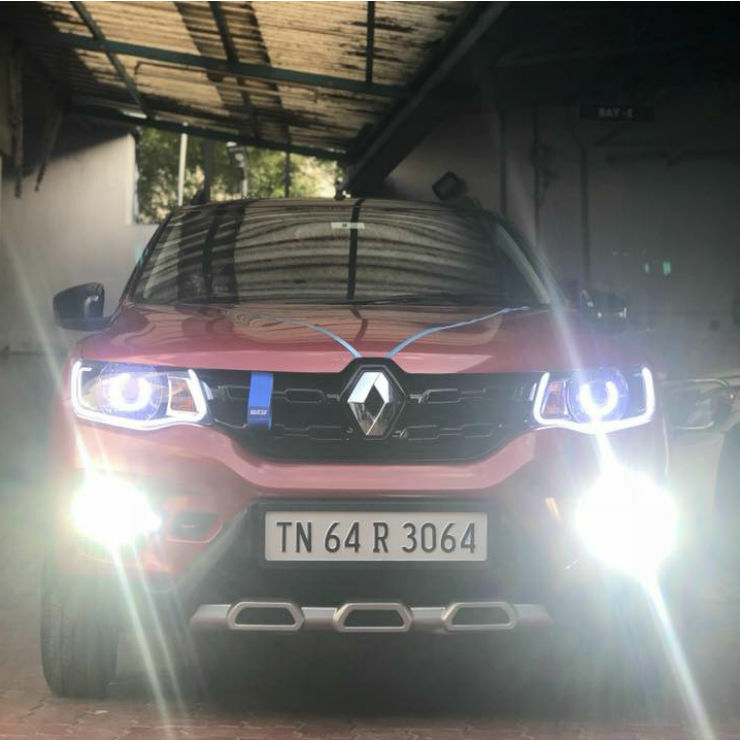 The Kwid seen here gets a lot of visual modifications that make it much more intimidating and increases its road presence – a-la-Duster or even for that matter the Renault Captur. The car gets a wrapped roof and the pillars that give a dual tone effect to the body. The Kwid also gets aftermarket LED DRLs and HID headlamps with projector lenses and LED angel eyes wrapped around. It also gets an all-new identity with all the changes done in the front. The Kwid also gets painted mirrors and door handles. At the rear, a roof-mounted spoiler has been placed that adds sporty looks. 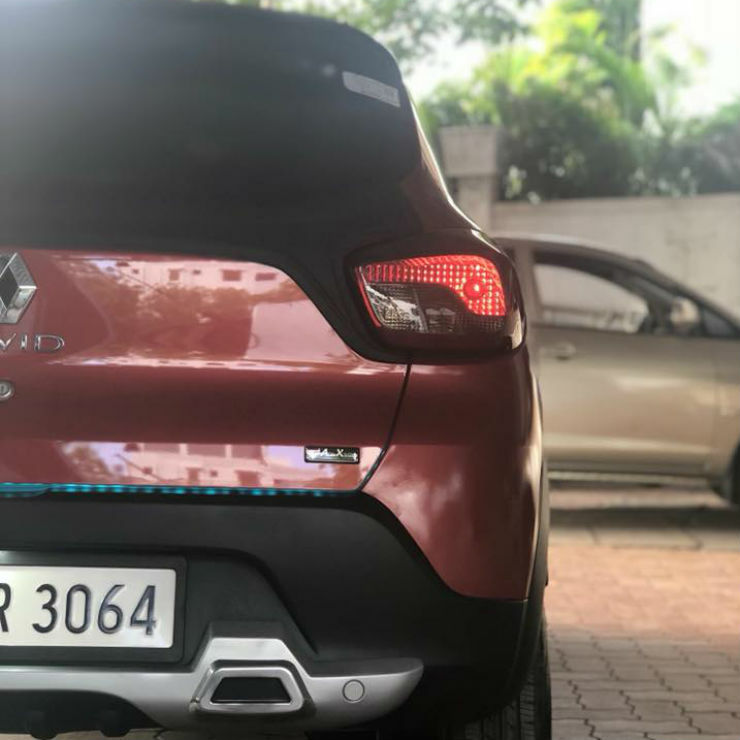 The modified Kwid also gets new bumpers that are much more aggressive than the stock Kwid. It gets roof rails, underbody glow lamps, alloy wheels, painted callipers and a towing belt. The tailgate also gets a long LED strip that changes colour to warn the cars in the rear. The rear bumper also gets faux exhaust mufflers that add to the overall masculine looks of the Kwid. Again, the inspiration from the Renault Duster and Captur is evident in this mod-job. 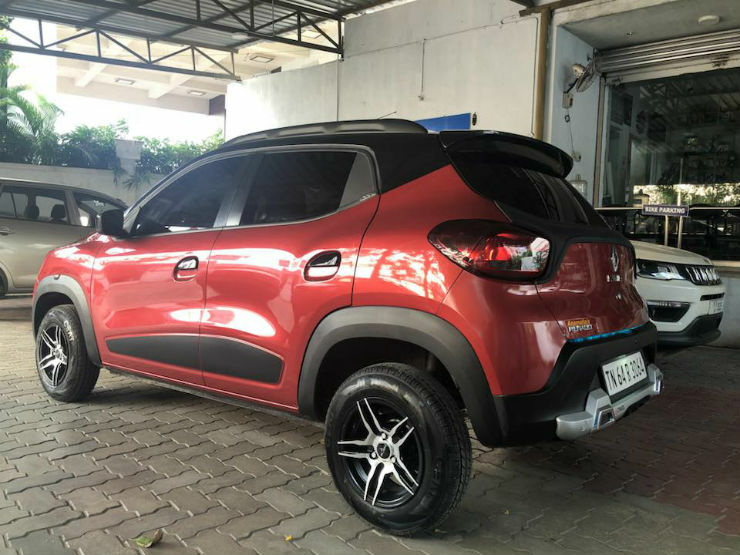 Mechanically, the modified Kwid gets similar specs as the regular Kwid in the Indian market. The car is based on Renault’s CMF-A platform and is powered by two different engine options. The Kwid gets an 800cc engine that produces a maximum of 53 Bhp and 72 Nm. There is also a more powerful 1.0-litre version of the car that churns out a maximum power of 67 Bhp and 91 Nm. Both the engine options get a 5-speed manual transmission. The 1.0-litre engine version also offers an AMT automatic transmission.